Edrington has announced a raft of senior executive changes that will affect its Americas and Global Travel Retail leadership roles. The UK-based spirits company said earlier today that Paul Ross, the president of Edrington Americas, will assume the position of MD for its super-premium brands division. Ross will replace Bill Farrar, who is leaving to "pursue new business interests". Farrar has been with Edrington since 1989 and joined the company's board in 2003. The next president of Edrington Americas will be Chris Spalding, the firm's current commercial director for North America. 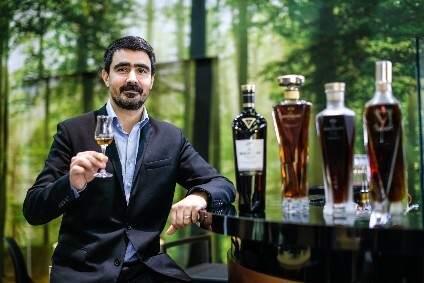 Elsewhere, MD for GTR Aristotelis Baroutsis will become MD of the company's 'regional power brands' unit, responsible for The Famous Grouse, Cutty Sark and Brugal spirits brands, with Igor Boyadjian moving to Singapore to replace him. Boyadjian was co-owner of the Edrington Fix joint venture, based in Dubai. "Bill has been a friend and colleague for nearly thirty years, during which time he has contributed strongly to Edrington's growth and success," said CEO Ian Curle. "I would like to thank him for his valued support and commitment, and wish him all the best in his future business interests. "When Edrington moves into its new global headquarters in Glasgow in the spring, I am delighted that we will be joined by two of our most experienced international leaders in global roles." The changes will take effect upon Farrar's departure, in June.